Location x 3! Popular Hampden area. Quick access to DTC, restaurants and convenience shopping. Whole Foods is only a 5 minute drive! Bus stop is 1 block away. Two lite rail station options nearby! Your next home on S. Xenia offers you all the critical components in a home. 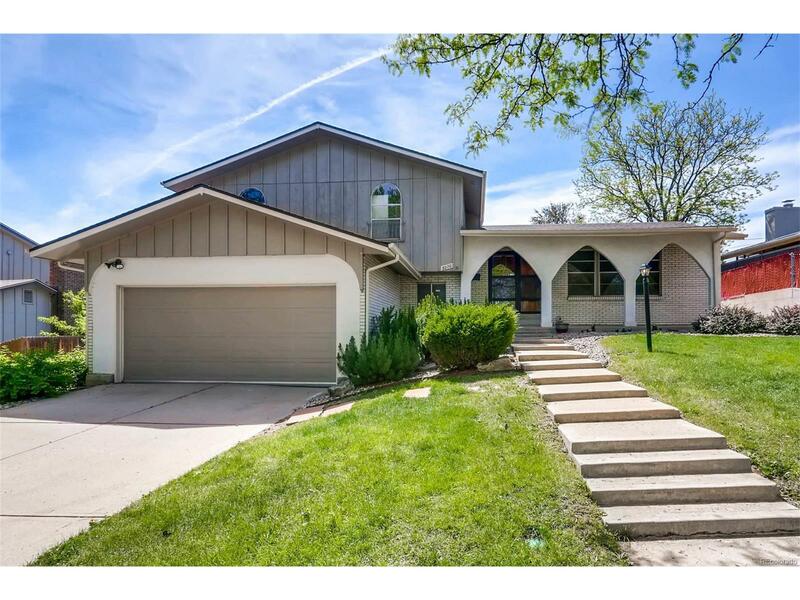 Large formal LR greets you with beamed vaulted ceiling. Enormous kitchen offers two eating areas and built-in desk for "command central"! FR with wet bar and slider opens to a covered patio! 3 BRs up, which includes a large Master/BA and volume ceilings. Don't forget to see the additional finished basement with a great room (with ample storage), and another (non-conforming) BR! Freezer, washer and dryer and grill stays. Trails and parks nearby. Call DPS 720-423-3493 for Elem. School enrollment assignment. How soon can you move in?